Island Peak Climbing 18 Days. 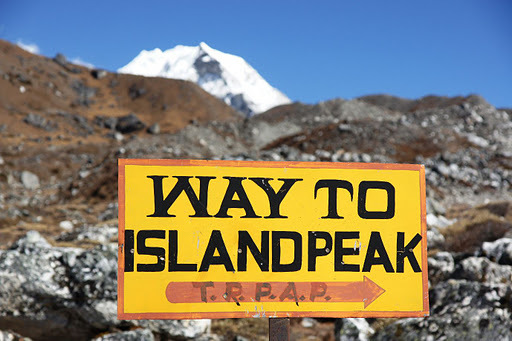 free fun trek offer to do adventure treip to Nepal and assent Island peak offers an enjoyable climb the peak, also provides some of the most striking scenery in the Khumbu. If the peak can be likened to an Island in a glacial sea, than the main land forms a semicircle of cliffs that rise in the north to the rugged summit of Nuptse (7879m/ 25850ft), Lhotse (9501m/27870ft), Lhotse middle peak(8410m/ 27590ft), as yet still unclimbed and Lhotse Shar (8383m/ 27503ft). To the east, rising above the frozen waves of the Lhotse Shar glacier, is Cho polu(6734m/ 22093ft), beyond which can be seen the red granite mass of Makalu (8475m/ 27805ft). 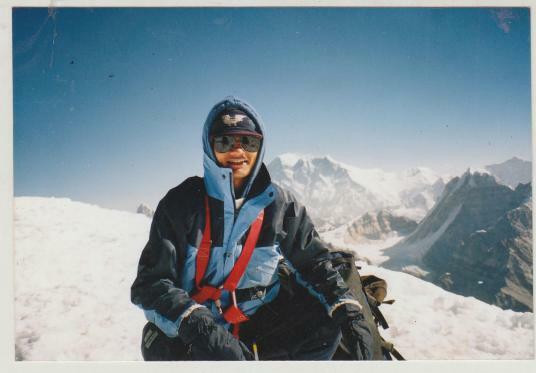 To the south of the Imja glacier and icy flutings of Baruntse (7720m/ 25328ft) and the Amphu peaks lead the eye to the lofty pinnacle of Ama Dablam (6856m/ 22493ft), which is liked a giant sea ·stack guarding the entrance to the glacial bay in which Island peak stands, you will have chance to view 4 of 8000m including Mt Everets. Day 16: Early in the morning make fly back to Kathmandu and Day free.